Planning a day in Delhi? While 24 hours alone can’t do the nation’s capital justice, our guide to the city’s must-see sights will take you on an unforgettable culture crawl, from the immaculate gardens of the Rashtrapati Bhavan to the stunning architecture of Humayan’s Tomb. Located in the heart of Old Delhi, Gurudwara Sis Ganj Sahib is a significant site of worship for Delhi’s Sikh population and an excellent destination for those interested in an authentic cultural experience. One of nine gurudwaras in the city, this historical landmark pays tribute to a 17th century Sikh Guru who was beheaded for refusing to renounce his faith at the ruling Emperor’s demand. Open from sunrise to sunset each day, Gurudwara Sis Ganj Sahib is an idyllic setting to discover Delhi’s rich heritage and the intricacies of the Sikh religion. Another of Delhi’s iconic religious landmarks, Swaminarayan Akshardham celebrates the values and beliefs of the Hindu faith amidst the peace and serenity of a lush, garden campus. 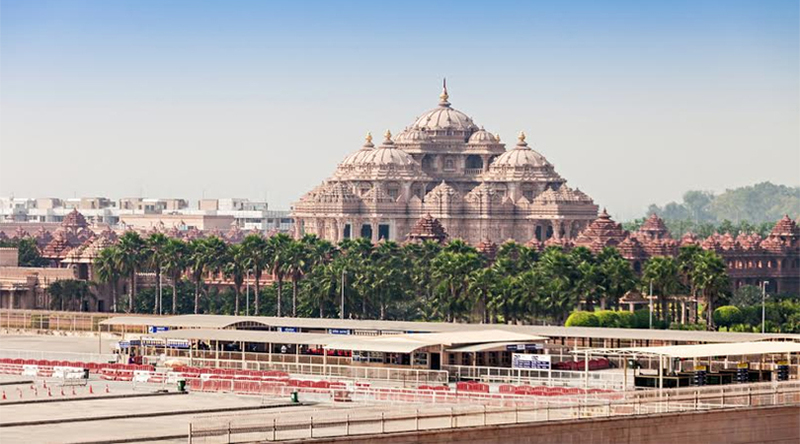 An awe-inspiring destination for worshippers and non-worshippers alike, Swaminarayan Akshardham’s exhibitions offer a fantastic avenue to immerse yourself in the country’s culture. Step back in time on the Sanskruti Vihar – a boat ride through the country’s past – or delight in the inspirational display of the Yagnapurush Kund – an enchanting musical fountain show symbolizing the circle of life. Travellers who find themselves in Delhi’s east end cannot go past a visit to Humayan’s Tomb – a 16th century mausoleum and relic of the Mughal dynasty. More akin to a lavish palace than a final resting place, this shining example of Mughal architecture became the inspiration for the iconic Taj Mahal before being named a UNESCO World Heritage Site in 1993. Today, this magnificent structure and its immaculate gardens are a popular port of call for visitors from around the sub-continent and beyond. An inner-city oasis in the heart of Delhi’s hustle and bustle, this expansive 90-acre escape is one of the area’s most-loved recreational reserves. Brimming with exotic flora and fauna, peaceful walking trails and lush greenery, this beautiful parkland is an ideal place to take a break from it all without ever leaving the city limits. Plan to pack a picnic and relax to the sound of native song birds or travel the park on-foot, taking time to admire the ancient tombs, intricate bridges and impressive arches that call the Lodhi Gardens home. The official home of India’s President, Rashtrapati Bhavan is one of the largest and most extraordinary national estates in the world. Set on more than 320 acres of perfectly manicured gardens, this impressive compound boasts a 340 room manor, multiple buildings and an on-site museum that invites visitors to learn about India’s government through the ages. 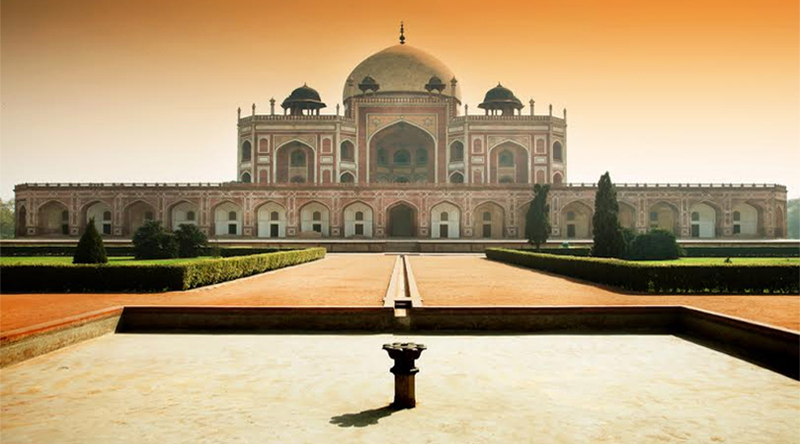 Want to see the best bits of Delhi in a day? Plan your stay at our 5-star hotel near Delhi Airport and experience everything this vibrant city has to offer just moments from your doorstep.